Stobs Castle. 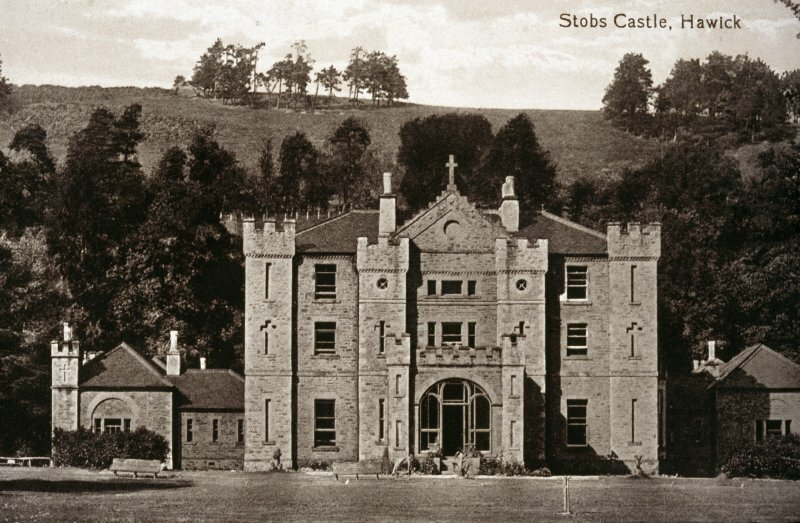 Historic photographic view of Stobs Castle. Stobs Castle was a stronghold of the Elliots; a great number of its foundation stones were removed from this spot in 1797. The barony of Stobbs was granted to Thomas Cranstoun by David II before 1370. No structural remains of this castle survive.